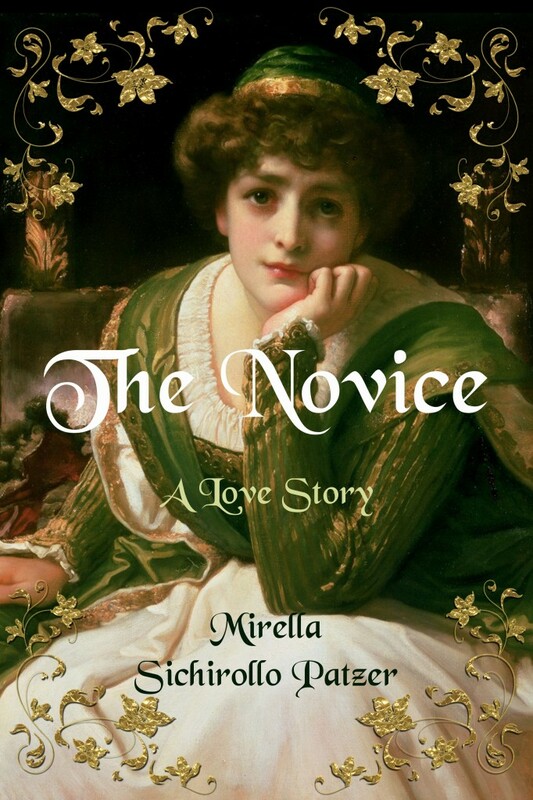 Author Mirella Sichirollo Patzer is on Blog Tour for The Novice and Passages to the Past is hosting today with a giveaway! A young woman on the verge of taking her vows to become a nun. A desperate flight from a murderous massacre. One honorable man comes to her rescue. Another becomes her nemesis and captor. In 10th century Naples, Saracens run rampant, annihilating villages, murdering women and children. Death and despair is everywhere. Alone in the world, Sara is a young novice plagued with doubts about taking her final vows to become a nun. When her convent is attacked, she flees for her life straight into the arms of a group of Saracens who leave her to die alone in the woods. An honorable cavaliere named Nicolo comes to her rescue and offers to take her to the safety of Naples. As they journey together, they are irresistibly drawn to each other. Believing Sara to be a nun, the honorable Nicolo is torn between love and duty to respect her vows. Heartbroken, he does what honor demands and sets her free before she can tell him the truth that she is not a nun. In her search to reunite with Nicolo, she encounters Umberto, a dark and dangerous man who will stop at nothing in his obsession to possess her. With her sharp intellect, and her heart, Sara must rely on her own courage and strength to escape her abuser and find the only man she will ever love. A story that burns with intensity, intrigue, and passion from the author of the highly successful novel, Orphan of the Olive Tree. A true blue Taurean in every way, Mirella Sichirollo Patzer grew up in Calgary, Alberta, Canada, a city famous for the Calgary Stampede, oil companies, and the wild west. Historical fiction books are one of her obsessions, especially those that pertain to medieval eras and with Italy as a backdrop. Her fascination for women of history and Italy is often reflected in her work, her various blogs, and website. She lives in Cochrane, Alberta, Canada with her husband and family. Her house is brimming with books and toys. For her, life couldn’t get any better. For more information please visit Mirella's website. 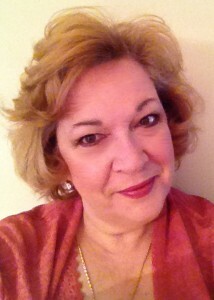 Mirella also blogs at History and Women & Historical Novel Review. Connect with Mirella on Facebook, Twitter, Goodreads and Pinterest. To win a paperback of The Novice please complete the form below. Giveaway is open to US residents only and ends on October 9. .Thank you so much for hosting me on your wonderful blog. I've been a big fan for years and it's so exciting to see my book here. Looking forward to more! Sounds like a very interesting book. I'll have to give it a chance. I love historical fiction. The setting and time reminds me of "Great Maria" which I loved. Ever since I wanted to read more about Italy around the time of the Saracens. This book sounds wonderful. I have read other HF involving a nun or 'almost nun' and I think that makes for a great character. BTW the cover is intriguing. This book sounds awesome, I love the intrigue and passion. I would enjoy reading this book. Thanks for having this giveaway. Just visted there lat year...what a great read this would be ! Love the sound of this one! I wanted to review it but the schedule is full...scheduling into March now. I would love to read the book at some time though.Thanks Amy and Mirella!!! I have this book to my TBR list. Thanks for the giveaway! I do like Historical fiction :) sounds good! I am finding myself drawn into the 10th Century or any century thereabouts upwards through the Renaissance as going back further into the folds of history is quite wicked! I never thought I'd be able to appreciate centuries I haven't researched outside of reading fictional accountments, but I credit the writers who are bringing these stories to life to aid my quest to better understand eras of history that I have a keen interest in reading about! :) This is one of the books I was happy to see go on tour & it is a joy to follow it! Lovely to offer a bookaway, thank you!